Format ImagePosted on April 7, 2017 April 7, 2017 Author Peter A. MelloCategories life, maritimeTags nantucket, Trump, whaling1 Comment on Trump promises to bring back whaling jobs to Nantucket! Posted on April 1, 2017 Author Peter A. MelloCategories maritimeLeave a comment on Back Out of Mothballs. Again! 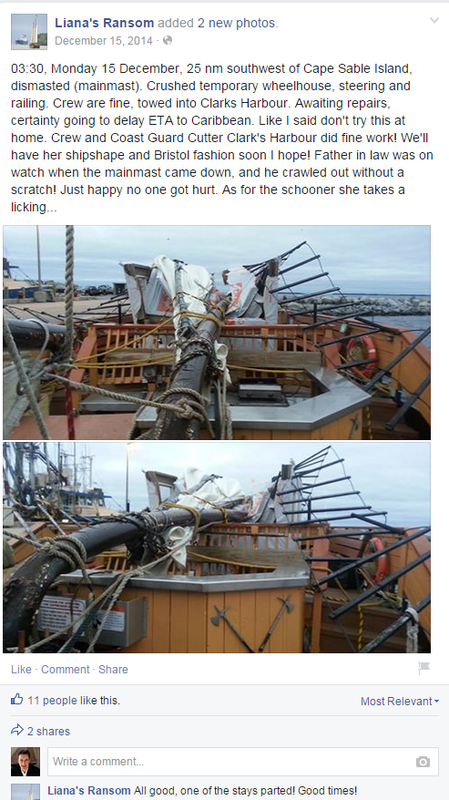 More Tall Ship Troubles – Liana’s Ransome Abandon Ship! For the second post in a row, I’m back to our friends at GCaptain where they report another tall ship disaster. Admittedly I know nothing about this ship nor the details of the incident but this type of headline grabbing news is not good for the sail training industry and particularly those programs and vessels that are run professionally and competently and do the right thing. 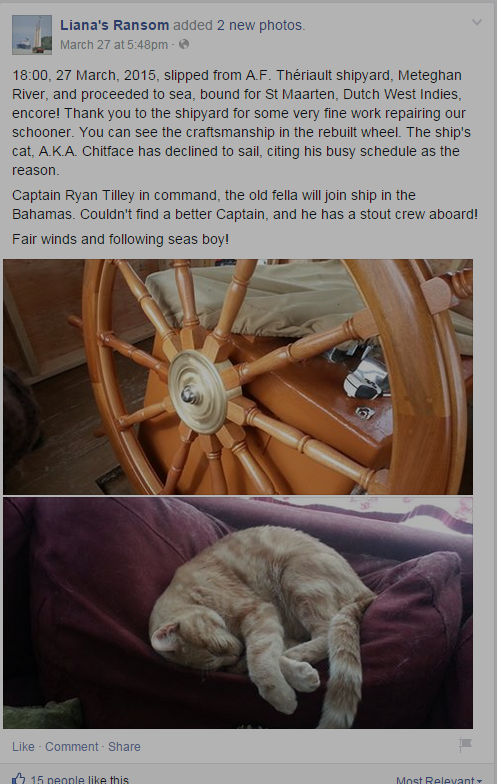 However, from their own Facebook page it seems that this voyage was cursed from the start. 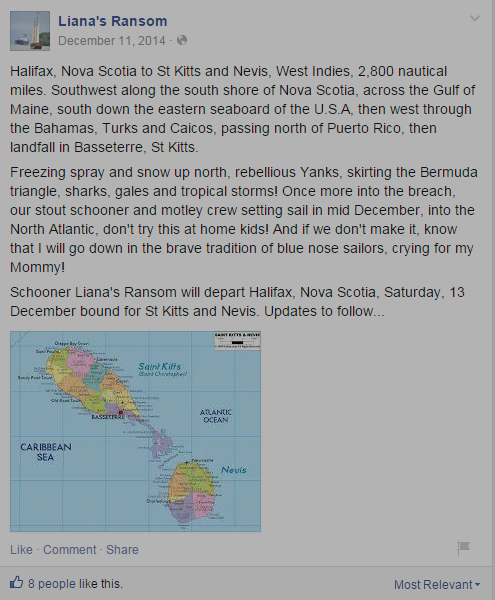 Posted on April 1, 2015 Author Peter A. MelloCategories maritimeLeave a comment on More Tall Ship Troubles – Liana’s Ransome Abandon Ship! More than two years? Are you kidding me? 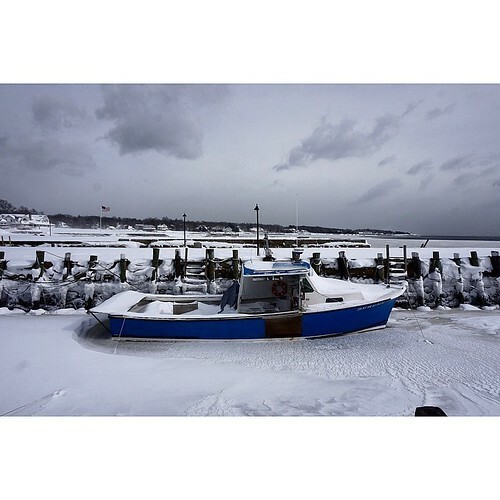 I can’t believe that it’s been over 2 years since I last posted on Sea-Fever blog! Time to get back in the wheelhouse, throw off the lines and cruise the digital seas for great flotsam and jetsam. Let’s see if I’ve still got my sea legs. Posted on February 19, 2015 Author Peter A. MelloCategories maritime4 Comments on More than two years? Are you kidding me?